Guest post from Taisiya Yarmak, head of international PR in Skolkovo (Moscow). Vnesheconombank and the China Development Bank (CDB) signed a framework agreement on cooperation in innovations with a term of financing not exceeding 15 years. The document was signed by Chairman Sergey Gorkov and Chairman Hu Huaibang, for Vnesheconombank and CDB, respectively. 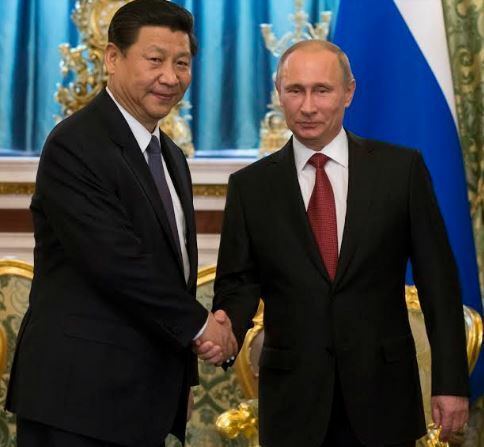 The signing ceremony took place in the presence of Russian President Vladimir Putin and China’s President Xi Jinping who is paying an official visit to Russia. The total capital raised by the Bank for innovation projects, primarily for those to be implemented in Russia, amounts to nearly $2 billion. The Agreement provides for the promotion of high-technology and innovative projects including the National Technological Initiative (NTI) projects by means of various financing instruments, in particular, through participation in private equity funds and repurchase of bonds issues. Furthermore, the parties have agreed to support innovative export projects. “Notably, we have been closely cooperating with our Chinese partners in the support for innovations, which is one of the focus areas of Vnesheconombank’s Strategy. The potential of this market is really limitless. Today, we observe a great interest in projects delivered in Russia with Chinese involvement. The funds raised may be channeled to finance projects in power generation, transport, industrial and energy infrastructure, and cross-border projects in Siberia and the Russian Far East,” commented Sergey Gorkov. Vnesheconombank’s Strategy 2021 prioritises the Bank’s participation in supporting catching-up industries (high value added manufacturing, non-commodity exports, infrastructure etc.) and, more importantly, accelerated development sectors (quantum technologies, blockchain, neurotechnologies and biotechnologies). According to Sergey Gorkov, CDB has been Vnesheconombank’s major strategic partner in the Asian market for more than 11 years. Lately, VEB and CDB have signed loan agreements with a total value exceeding $10bn. Among the Russian financial institutions, VEB remains one of the largest borrowers of the China Development Bank. Vnesheconombank used the CDB funds to finance a number of projects in timber industry and energy production. The Russian and Chinese development institutions have been closely collaborating in the context of SCO and BRICS. The VEB and CDB initiative has been highly appreciated by experts. “Our survey among more than a thousand of the Skolkovo Innovation Center resident companies has revealed that 80% of Russian innovation companies are willing to enter the Chinese market. Moreover, some 30 Skolkovo high-technology companies are already operating there. Since VEB Innovations foundation will be based in Skolkovo, we expect to achieve a synergy effect when jointly promoting our companies in the Chinese market,” stated Igor Drozdov, Chairman of the Board of Skolkovo Foundation. “One can only welcome VEB’s new initiatives aimed at supporting Russian start-ups. The last three years saw over one thousand venture capital investment deals with Russian IT-companies. The Internet Initiatives Development Fund accounts for nearly one third of all deals due to its high activity on seed and pre-seed stages when companies’ life cycle begins. But an ecosystem needs support at all stages. By attracting external funding, VEB – as a key development institution – could become a major driver for supporting Russian start-ups at later stages. The injection of new resources will help warm up Russian venture capital industry and make it easier for start-ups to attract investment and agreements with new partners abroad – accelerate entrance of Russian technological companies into export markets,’ said Kirill Varlamov, the Internet Initiatives Development Fund’s Director. Vnesheconombank plays an active role in fostering the innovation ecosystem. Cooperation with Chinese partners is expected to help innovative companies enter the global markets and boost export. In mid-June, Vnesheconombank and Harbin Bank established a group of innovation support funds with a target volume of investments of up to $700 million. The objective is to build a project portfolio and attract private equity investors. The deal marks the launch of a new instrument to support innovation providing access to one of the key markets. Another initiative to be highlighted as an example of attracting capital to Russian future-tech projects is a $200 million venture signed by Vnesheconombank and India’s SREI Infrastructure Finance Ltd in early June to support IT and innovation.